A biography of Marie Curie from her student days to world renowned fame, Madame Curie finds drama and romance in the exalted world of scientific discovery. Paris, in the 1890s. 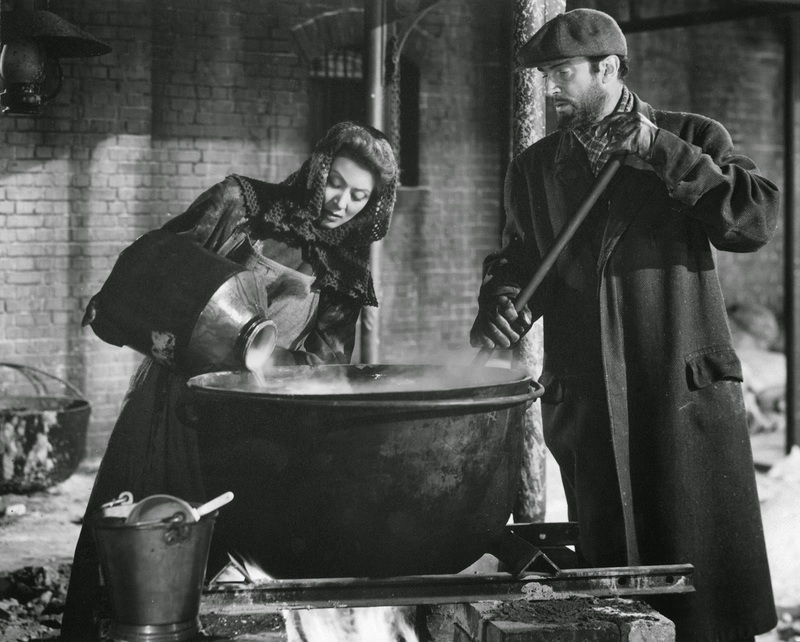 At the prestigious Sorbonne, Marie Sklodowska (Greer Garson) is a high achieving student from Poland, planning to finish her scientific degree and return to her homeland. Her talent and dedication are noticed by Professor Perot (Albert Bassermann), and he places her in the laboratory of physicist Pierre Curie (Walter Pidgeon), a renowned but rather shy researcher. As the months pass, Marie and Pierre grow fond of each other as colleagues, and she meets his parents (Henry Travers and Dame May Whitty). Finally Pierre hesitantly proposes marriage and Marie agrees. It's a match based on logic, compatibility and affection rather than passion and love. Intrigued by the findings of another colleague who discovered that some rocks seemingly radiate their own energy, Marie starts to investigate the phenomenon. With Pierre's help she is able to detect the theoretical existence of a new element, termed radium. The Sorbonne reluctantly provides the Curies with a rudimentary shed as a headquarters to continue their research, but isolating radium to conclusively prove its existence will be much more difficult than anticipated, testing Marie's patience and scientific talent to the limit. Madame Curie is a relatively unique achievement: a film about a scientist that also manages to embrace the topic of science. Directed by Mervyn LeRoy and adapted from Eve Curie's book, the movie spends a fair amount of time looking over the shoulders of Marie and Pierre as they nudge their experiments and research towards success, with progress made in sometimes incalculably small increments. The highlights of the film are tied to the Marie Curie's scientific achievements, and LeRoy respects his audience to understand the scientific quest and methods deployed. Narrator James Hilton helps at critical junctures by adding context to the scenes of scientific discovery, and LeRoy captures the frustration, toil, creativity, patience, and moments of brilliance that combine to crack stubborn mysteries. Every failure is a successful confirmation of a method or hypothesis that does not work, and Marie's genius emerges in the form of persistently thinking up new alternatives to test on the convoluted path to success. However, Madame Curie does suffer from a few contrived "Eureka! "moments, Marie either staring into space or gawking at the stars and solemnly revealing some serious milestone. The theatricality is unnecessary and equivalent to a triple underline plus an exclamation mark. Better is the portrayal of the dynamic between Marie and Pierre. Madame Curie is a warm celebration of a marriage of equals, built on trust, collaboration and mutual respect. It is a refreshing representation of a fully functioning union where love blossoms deep into a relationship initially built on intellect. 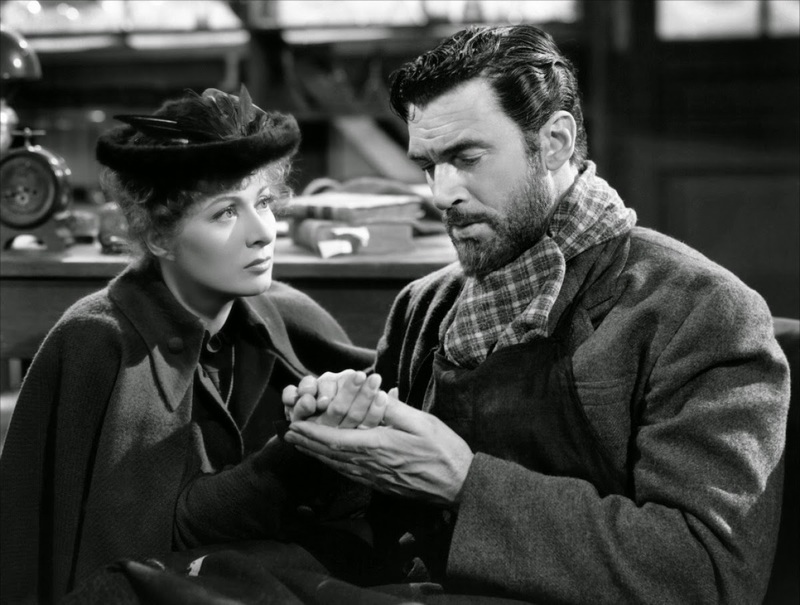 Greer Garson and Walter Pidgeon, coming off their success in Mrs. Miniver and into the third of what would be eight on-screen collaborations, contribute immeasurably to the success of the film. After the initial awkward courtship phase between Pierre and Marie, the comfortable charisma of Garson and Pidgeon as a couple serves as an easy gateway into the world of science. Both were nominated for Academy Awards, as was the film. Respectful, educational and entertaining, Madame Curie is a fitting tribute to a remarkable woman.